We all have read lot about the Sangam. We have read that there were three Sangams, Shiva,Kuberan,Murugan were part of these Sangams . Some where down the line, the Legend and True history got mixed up. This essay is intended to separate possible facts from myths based on the critical essays written by Dr. Zvelebil. Sangam as legend says was an Academy based in Madurai which shaped and controlled the literary,academic and cultural and linguistic life of early Tamil Nadu. The tradition of literary academy appears in both Literary and epigraphic sources. The most important account of Sangam legend is given in a commentary to Iraniyar Agaporul(dated between4th-6th century AD) ascribed to Nakkirar(dated 7th and 10th century). It(commentary) might be the work of either Nakkirar or work of a Nilakantan of Mucuri. Other accounts acan be found in Tiruvalavayutaiyar tiruvilaiyatarpuranam, of Perumparrappuliyur Nampi(12th -13th century AD) and Triuvilaiyatarpuranam of Parancoti (16th – 18th cent. AD). According to Nakkirar, there were three sangams or Academies. The First Sangam was based in Southern Madurai(which got submerged into sea), lasted for 4440 years and 4449 poets took part in it. Akkatiyanar, God with with well spread entangled lock who set three cities on fire(Shiva), Murukavel who surendered the mountain and lord of wealth(Kuberan). Works composed: Paripatal,Mutunarai,Mutukuru,Kalariyavirai among others. The Sangam had 89 people as the Chair beginning with Kayacinavaluti and ending with Katunkon. 7 Pandiyas also produced poetry in this Sangam. The Second Sangam was situated in Kapatapuram(also submerged under sea), lasted for 3700 years and included 3700 poets. There were 59 chairs beginning with Ventercceliyan and ending with Muttatirumaran. The Third Sangam was situated in present Madurai(Uttara or upper Madurai) lasted for 1850 years and included 449 poets. Works: 400 Netuntokai, 400 Kuruntokai,400 Narriani,Purananuru,Ainkurunuru , Patirruppattu,150 Kalis,70 Paripatals,Kuttu,Vari,Cirraci,Peracai and other works. There were 49 chairs starting with Mutattirumaran(who escaped submergence by sea) and ending with Ukkirap Peruvaluti. 3 Pandiyas composed poetry in the Sangam. Other detailed account of the legend is available in Puranas on Madurai. But there are quite a few changes to Nakkirar’s version. In this version Nakkirar becomes head of the Sangam and adjudged the work of the poets(what we see in Thiruvilayadal Movie!). This version also incorporated additional elements like motif of the Sangam bench(i.e they compose poems,they adjudge work others etc. ),the story of Tarumi(immortalized by Nagesh!) and story of Agastya coming from north and being the father of Tamil. 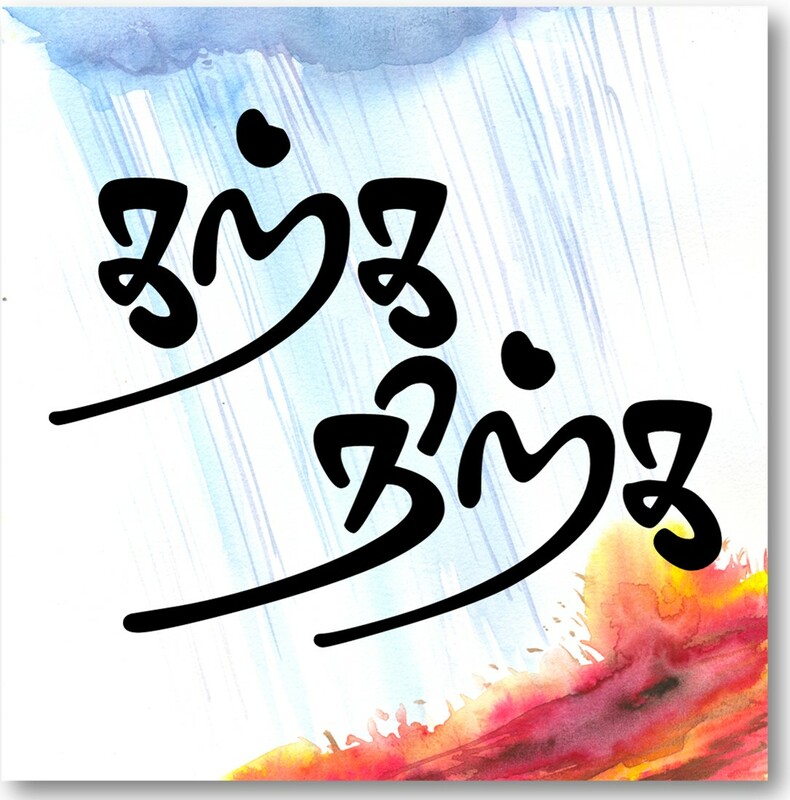 Also Andal and Thirumangai Alvar have also quoted about Sanga Tamil. There are few lines in the Sangam literature which might be interpreted as referring to a body of poets and Scholiasts. How ever since these are not explicit lines of reference, the conclusion that Sangam was body of scholars and poets is purely speculative . There are also few poems in Sangam which connect Madurai and Tamil in a special way. There is no direct reference for Sangam as an “association or assembly” of poets and critics in any of the Sangam Literature (i.e from around 100 BC to around 3 cent.AD). The meaning of the term Sangam as an “association or assembly” of poets and critics seem to be based on a Jaina Tradition found in Prakrit, according to which a Daavida Samgho was established in Madurai around 470 AD by Vajjanamdi a Jain. There is also an very interesting point to note here. The years of each of the three Sangams are multiples of 37, first Sangam 37 x 120, second Sangam 37 x 100 and the last Sangam 37 x 50. It is well known fact that Jains had a special passion on numbers. This may give us the idea where the fictitious numbers for years of each Sangam had its origins. Cinnamanur Plates (10th century) praises Pandya to have translated Mahabratha and to have established a Sangam in the city of Madhura. According to K.A.N.Shastri and S.Krishnaswamy Aiyangar this refers to Sangam at Madurai. Erukkankuti plates(9th century) praises Etticattan who had among his ancestors a poet who sat on the famous Sangam bench.According to Mu.Irakavaiyankar this may refer to Maturaik Kulavanikan Cattanar the author of Kurunthokai 349. Of the bulk of works quoted by Nakkirar which belonged to First academy can be very speculatively dated to 300 or 400 BC. Out of the works quoted by Nakkirar belonging to Second Academy only few lines of Mapuranam and 16 lines said to be part of ancient Icainunukam(considered much later work) have survived and carried on to us through secondary sources. Out of the works quoted by Nakkirar belonging to Third Academy, 7 works have been completely preserved (Akananuru, Kurunthokai, Narrinai, Purananuru, Ainkurunuru, Kalithokai, Tolakapiyam), two in great fragments (Paripatal , Patirruppattu) and one in minor fragment (Akattiyam). The years of each Sangam quoted by Nakkirar is fictitious and possibly this is due to the influence of Jains in the Sangam legend. The number of poets quoted in last Sangam were 449 . The poets during that age are totally 473 poets (102 poems were anonymous poems). Out of the 473 , 35 are named after interesting line in their poem (like Orerulavanar). If we remove the 35 from 473 the total is 438 which is closer to Nakkirar’s tally. Or if we take 473 and remove authors of later period we get a tally of 459 which is also close to Nakkirar’s tally. This cannot be a mere coincidence. Nakkirar’s version and later version of the Sangam legend is not completely acceptable. But we cannot dismiss the academy as a pure fiction, such a legend couldn’t have arisen without any historical basis.And couldn’t have been just a Buddhist or Jain assembly of scholars. There must have been some kind of assembly of scholars associated with Tamil being held at Maturai. But the some how facts and fiction have got mixed up so much that origin of either cannot be traced. The Middle academy with 3700 poets sitting in academy for 3700 years under 59 Pandiya Kings in Kapatapuram. The last academy for 1850 years under 49 Pandiya kings. A body of scholars and poets function as norm giving, critical college of literary experts and shifts its seat according to the geo political conditions of Pandiya kingdom. After Akkatiyam many grammatical treatises arose, including Maapuranam and Tolkappiyam. Tolkappiyam survived in ur text and later expanded to its present shape. In early historical perios, a norm giving body was established in Madurai for 250 years which comprised of 450 poets(who were authors of the anthology poems and number of works now lost).Various schools of Bardic poets regarded Akkatiyam (still in existence then) and Tolkappiyam as their authority. But arrangement into Ettuthokai and pattupaattu has not taken place. Tolkappiyam is acknowledged by Nakkirar as a single finished grammatical work. Sanskrit tradition of Shiva being father of grammar got incorporated into the Sangam legend. Murugan as the member of Sangam and one who presided over the Sangam can be attributed to his popularity of Tamil Kadavul(which I have discussed in length in my History of Murugan blog). Lord of Wealth(Kuberan) should also been a popular god and possibly been associated with origins of Tamil. According to History of the Tamils, by PT Sreenivasa Iyengar the Sangam legend was a combination of the following facts. 1. The present capital of Pandyan kingdom, was their third capital, and they changed their capitals thrice. 2. The Pandyan rulers being patrons of Tamil and poets, had a assortment of poets with them always. thats y we have the terminology, “puravalarum pulavarum” . meaning that poets were present where patrons were present. The above 2 facts combined to give the 3 sangam legend. Other than this, I think the numbers and most of the names can be treated as of now only has mythology. is as stupid as saying “the children you beget is not your children until they call you by a word as amma/appa”. Name Sangam can be attributed to Bhuddist and Jain monks…. Can you suggest a good translation of Sangam poerms (in English)? I am finding bits and pieces. Whatever I found so far is good. In addtion, while we can not immediately decipher the sense of numbers 4444 for now, the numbers may have some mythological meaning and thus we should not discard them too easily. Again I wish the Tamil too could be posted in English script for the benefit of people who cannot read Tamil.